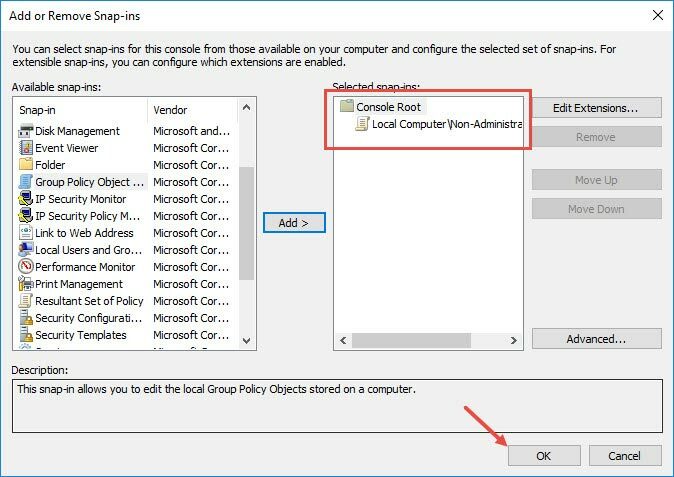 Local Group Policy Editor in Windows is nothing new for most Pro and Enterprise version users, as it allows you to set a wide range of system-wide policies/settings without having to meddle with the Windows Registry. 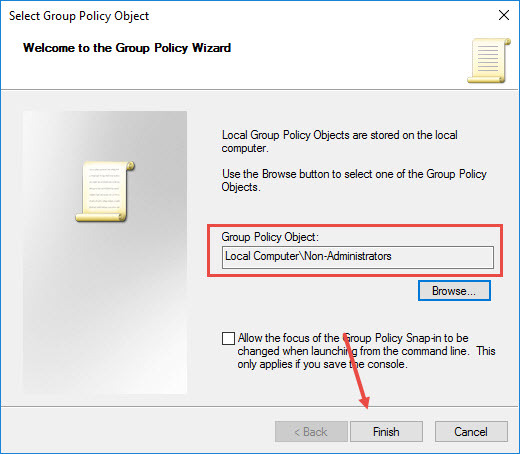 As good as it is, when you set a policy in the Local Group Policy Editor, it will affect the whole system and all the users, depending on whether you use Computer Configuration or User Configuration. However, you can easily change that behaviour of the Local Group Policy Editor so that only a specific Group or User is affected by the changes. Here is how you can do that. Note: although I’m showing this in Windows 10, this works in other versions like Vista, 7 and 8.1 as well. 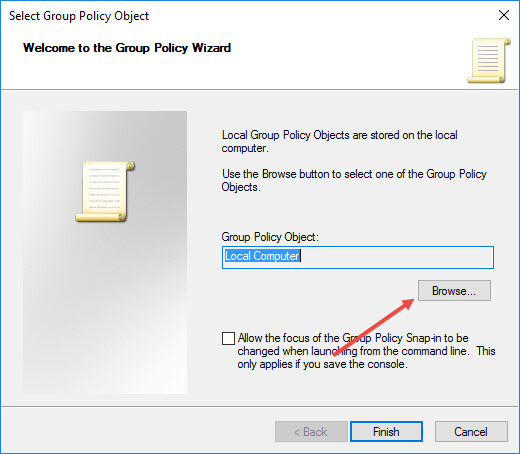 Making Windows apply policy settings to only specific users or groups isn’t difficult, but it is a bit confusing as you need to create a new snap-in to interact with the console and then apply it to the target users or groups. To start, press “Win + R,” type mmc.exe and then press the Enter button. This action will open the Microsoft Management Console. This is where you will be able to create and manage snap-ins that interact with the actual console. As soon as you click on the option it will open the Snap-in window. 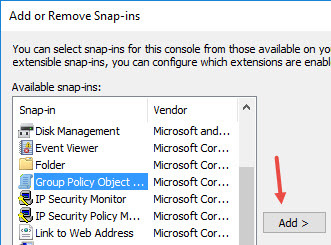 Here, select “Group Policy Object Snap-in” under the “Available Snap-ins” category, and then click on the “Add” button. 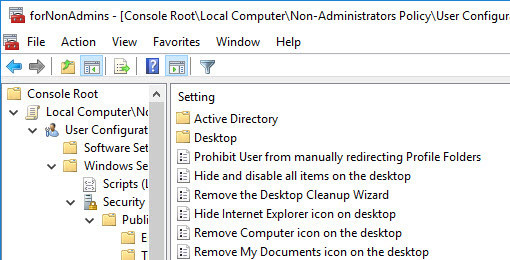 The above action will open the “Group Policy Wizard.” By default, this new object is set to “Local Computer.” To change that click on the “Browse” button. Here in this window navigate to the “Users” tab, select the user or the user group for which you want to set the snap-in, and click on the “Ok” button. In my case I’m selecting all the non-administrators so that any policy I set using this snap-in will be applicable to all the users who are not administrators. This takes you back to the main window. Here, click on the “Finish” button to close the wizard. In the Snap-ins window, click on the “Ok” button to save the changes. Once the snap-in has been created, this is how it looks in the main Management Console window. 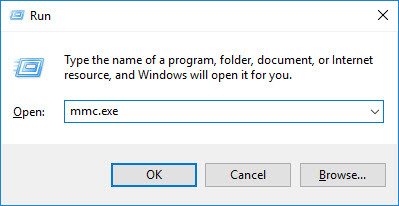 The above action will open the Save As window. 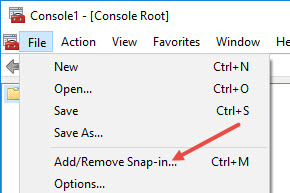 Here, enter the name for your new snap-in and then click the “Save” button. 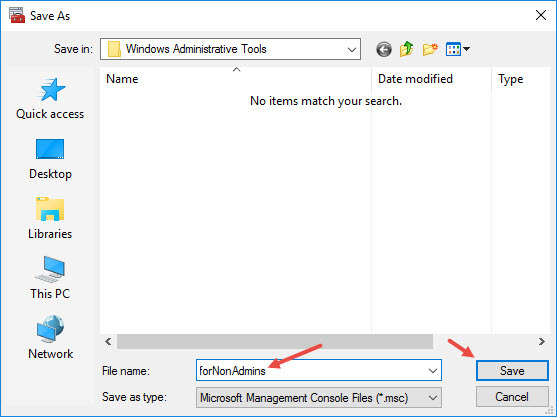 By default the snap-in is saved in the Windows Administrative Tools folder in the Start Menu. You can easily access the above folder by navigating to the following location. Don’t forget to replace “username&gt” with your actual username. If you use it regularly, then create a shortcut. That’s all there is to do.. From this point forward you can easily set the policies to select user accounts or groups using the newly-created snap-in. 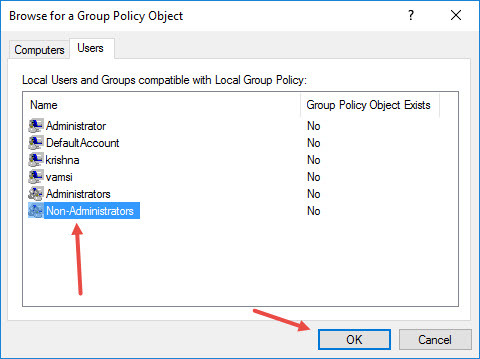 It is that simple to configure Windows to apply policy settings to specific user accounts or groups.